Seattle: Real Comet Press, 1989. 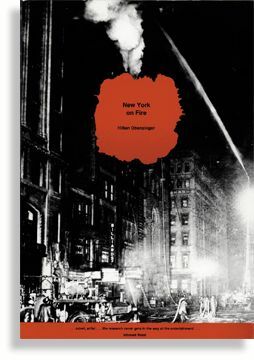 A chronicle of fires that have ravaged New York since a Dutch ship burned in the harbor in 1613, this epic puts the reader on the scene of the most fascinating and terrifying conflagrations – at the Crystal Palace, Barnum’s American Museum, the Colored Orphan Asylum, the Elm Street tenement, the paddlewheeler General Slocum, the Triangle Shirtwaist Company, Franuces Tavern, the South Bronx. A thought-provoking view of the city’s history and a brilliant metaphor for its explosive energy, New York on Fire surveys blackouts, bombings, freak collisions and the incendiary violence of racism.